Activision Blizzard Inc. is a leader in interactive entertainment software production, headquartered in Santa Monica, California. They are associated with the online interactive products including consoles, personal computer, mobile and even handheld devices. The business of the company involves with the development, sales and even marketing of the variety of products through digital downloads or retail channels. 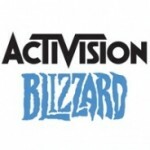 Activision Blizzard Inc. earns revenues through varied means such as subscriptions, offering product license to any third-party company, and online sales of various downloadable products. The company is described as one of the leading position holders in the market of varied video gaming tools. There are currently 0 consumer reviews about Activision Blizzard, Inc available. Share your review. Please take a note that you are about to post a public review about Activision Blizzard, Inc corporate office on CorporateOffice.com. This review will be public, so please do not post any of your personal information on this website. If you would like to contact the corporate offices of Activision Blizzard, Inc, please use their contact information such as their phone number, website, and address listed above to contact them. However, sometimes staff from Activision Blizzard, Inc headquarters do read the reviews on this website.